There should have been a headline that read Sticky Paws Nabs Sticky Fingers. Instead, a small article was written on page four of the Metro section. It was a great story of how an off duty city detective, along with his dog, solved a crime that was believed already solved. Dad was in the habit of bringing home animals that were some how involved with his cases. People were arrested, or killed, and Dad brought home their pets until Mom found another home for them. He had even agreed to keep two snapping turtles when their drug dealer owner had been murdered. We were not allowed to play in the yard for months until the vicious turtles were relocated. 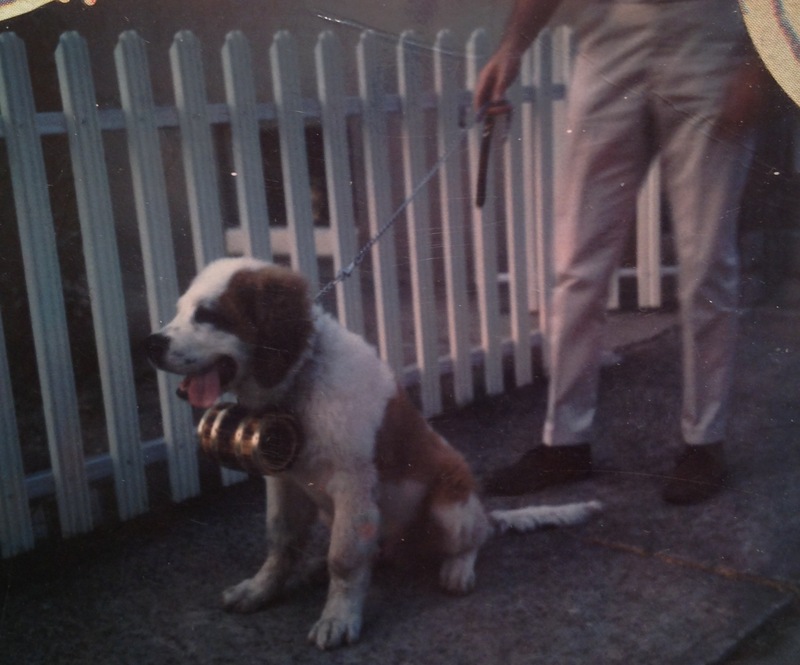 The night Barney, a ninety-five pound St. Bernard, came to live with us was the hottest anyone could remember. Moments before Dad came in the door with the dog, a large glass bottle of King syrup had exploded in the cabinet and was seeping over our kitchen floor. The dog, who seemed as big as a bear, yanked away from Dad, knocked my baby sister over and headed directly for the syrup. It took no time before his ears and paws were sticky. Dad laughed, Mom did not. I thought Barney was wonderful and so did Dad. Of course, neither of us had to give the dog a bath that night. Dad was getting ready to leave headquarters one night when a young guy turned himself in claiming he had committed the recent rash of robberies in the area. It wasn’t Dad’s case, he worked homicide now, but as he listened to another officer take the statement, he was sure this guy was lying. The guy knew enough details of the crimes, fit the physical description, but witnesses had reported the thief had a tattoo near his wrist. Dad couldn’t ignore there was no tattoo. The officers taking the statement seemed satisfied with the explanation that the tattoo had been removed recently. Those scars were not new, Dad thought. The paper work was put in and every one was happy, well, almost everyone. That same night Dad began taking our dog out for walks. 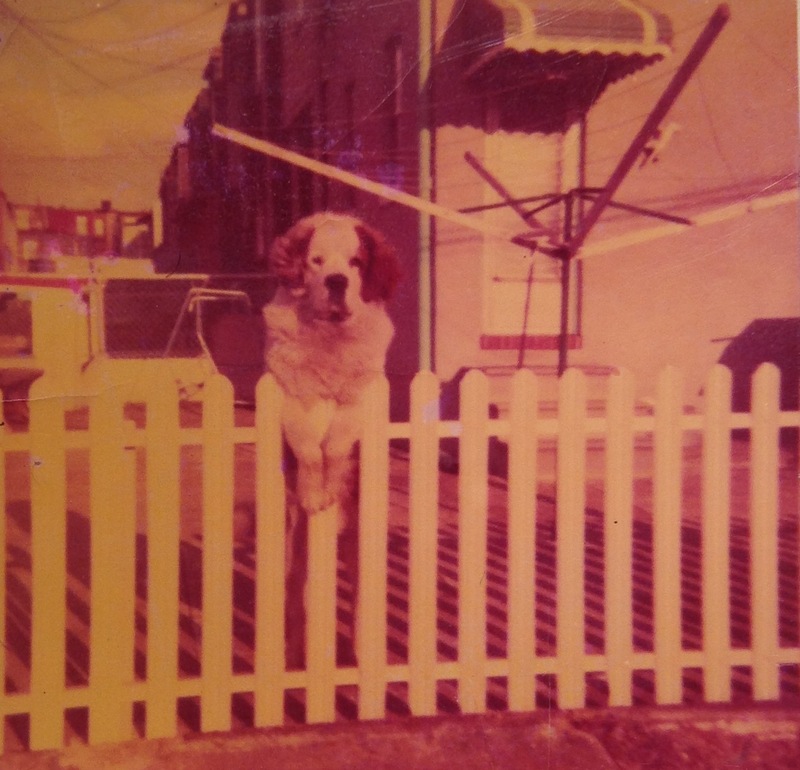 Barney was now a part of the family and needed more exercise than our row house yard allowed. 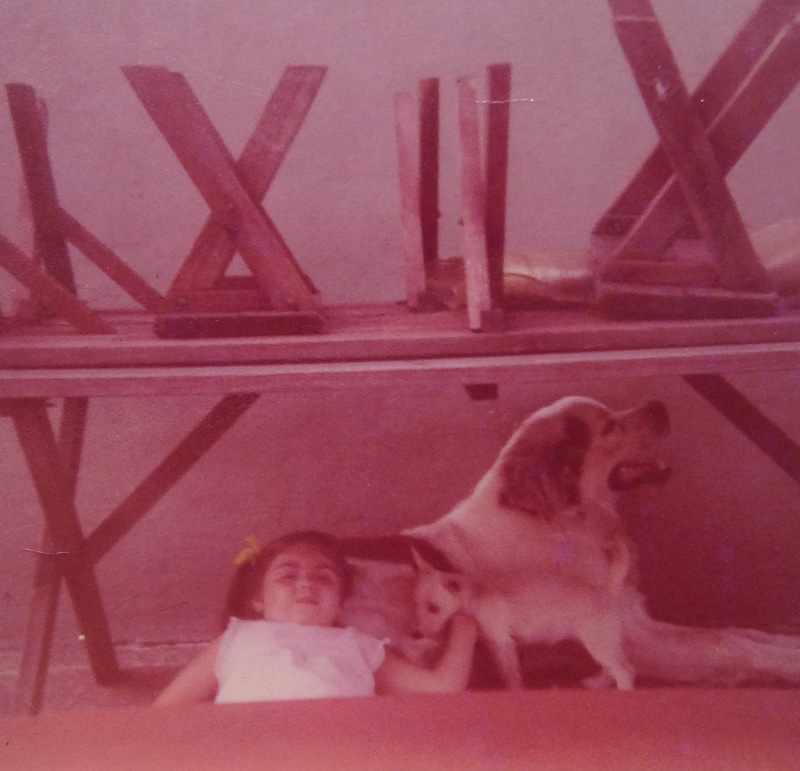 Mom was relieved when Dad took a renewed interest in the dog. No one knew that Barney was helping Dad investigate a case. They started going from bar to bar in the area of the robberies. Every place they went the patrons wanted to pet the dog or give him snacks. Barney was friendly and enjoyed all the extra attention. It was in that relaxed manner Dad caught the true criminal. Two brothers, who looked enough alike they could have passed for twins, made an agreement. One brother had committed the burglaries, the other brother would serve the time, they both shared the money. When the second brother saw Dad and Barney, he had no idea the man with the dog was a detective. He put his hand out to scratch behind Barney’s ear and Dad spotted the tattoo. Mom got a call from the headquarters to pick Barney up. Dad would be a while with the paperwork. I rode along with her and brought the leash. Barney was happy to see us, but it took a few treats to convince him to climb in the car. It was the first of several cases Dad and Barney worked together. Kim Gray is the winner of the 2009 William F. Deck – Malice Domestic Grant. We met Kim at the Seascape Writers Retreat in 2009. Her stories of growing up as a detective’s daughter fascinated us and she is sharing them in a monthly column. You have the most interesting stories, Kim! The Teacher’s Daughter would not make for such a fascinating read! The Teacher’s Daughter will be the stories my daughter will write! Thanks for sharing this story, Kim! Your father sounds tenacious! He was quite a character! I am sorry he is not around to see that I did pay attention to what he said and did. Great story! I love the dog assistant, Kim. your father sounds like a kind man and a good detective. Thank you! 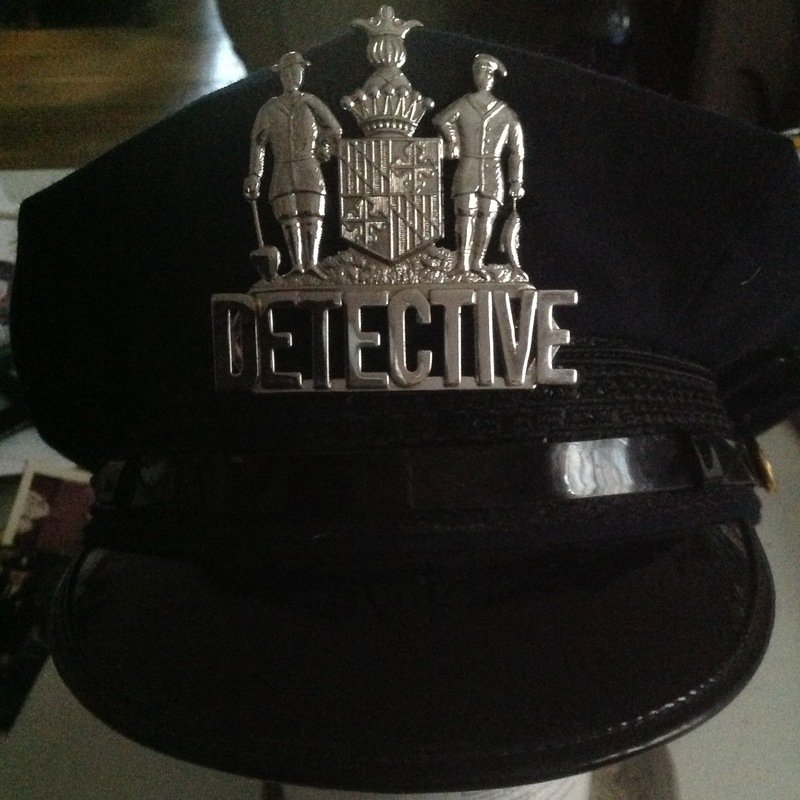 He was a good man, but a real extraordinary detective. Your Mom wouldn’t like it, but I laughed about the syrup, too! Great stories, Kim. Ramona, I believe that was the last bottle of King syrup I ever saw at our house. That night stands out so vividly in my mind, the heat, the syrup, my sister. She was being potty trained at the time, and I didn’t add that the little seat fell over because of the dog. We also had,at that time, a parrot Dad had found. In the midst of all this, the crazy parrot was throwing seeds at us, which he always did, but this time they were stuck to everything because of the syrup. What a night! Oh my gosh! That is too funny. I wished I had known your dad. Like Sherry, my potential column, “The Schoolteacher’s Daughter,” wouldn’t have anywhere near the zing! I wish you and the other girls could have known my dad. He would have gotten such a kick out of telling these stories himself. Thanks Liz! Now he seems rather cool, but growing up with him as a dad was not always easy. I am absolutely thrilled with the positive responses to my little stories. Thank you! That’s pretty good detective work. I never would have thought of doing that, which is I guess why most of the time the ending of a mystery novel surprises me. What a great voice you have. Thank you so much for sharing stories on the blog. And I can’t wait for Malice, where we get to hear them in person! that’s a great story Kim!